Daniel Allen Butler is a maritime and military historian, the author (through July 2015) of ten books. 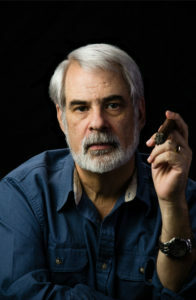 Some of his previous works include “Unsinkable”–the Full Story of RMS Titanic; Distant Victory-the Battle of Jutland and the Allied Triumph in the First World War; The Age of Cunard-A Transatlantic History, 1839-2003; The Other Side of the Night: The Carpathia, the Californian, and the Night the Titanic was Lost; The Burden of Guilt: How Germany Shattered the Last Days of Peace, Summer 1914; and Shadow of the Sultan’s Realm: the Destruction of the Ottoman Empire and the Creation of the Modern Middle East. Educated at Hope College, Grand Valley State University, and the University of Erlangen, Butler served in the United States Army, then worked as a wage-slave before becoming a full time author. He is an internationally-recognized authority on maritime subjects and a popular guest-speaker, having given presentations at the National Archives in Washington DC, the Mariners Museum, and in the United Kingdom. He has also been frequently included in the on-board enrichment series of Cunard’s Queen Elizabeth 2 and Queen Mary 2, as well as the ships of the Royal Caribbean and Norwegian cruise lines. Butler’s newest book, Field Marshal–The Life and Death of Erwin Rommel, was published in July 2015 by Casemate Publishing. He is currently at work on three new writing projects: …Of All Things to be Won — Scotland’s War for Freedom; and The Achilles Gambit — Book Two of the Blade Files, and The Prometheus Letter — Book Three of the Blade Files, these last two part of his new foray into the world of cyberpunk adventure fiction. A self-proclaimed “semi-professional beach bum,” Butler divides what little time he spends away from his writing between wandering long stretches of warm, sandy beaches, his love of woodworking, his fascination with building model ships, and tinkering on his ’72 Triumph Spitfire. After living and working in Los Angeles, California, for several years, in 2014 Butler relocated–permanently, he hopes!–to Atlantic Beach, Florida, where the beaches are much better. just started a blog, and looking for all the information i can get. very nice blog, and great information. Why 9 out of 10 “Indy” Authors are Failures…. So…Just Who is Shooting Whom — and Why? GoogleBook — You WILL See Only What WE Want You to See! Dunkirk: Can I Get a Refund for a Movie I Didn’t Actually Pay to Watch? Slavery…. So what’s the Big Deal? Nick Barnett on Everything I NEED to Know about Islam I Learned on 11 September 2001…. Everything.